The Waconia Ride-In at Waconia Minnesota January 29-31 is proud to announce another new class to the Sunday Show. Last years amazing display of around 40 CUSTOM CLASS sleds really opened our eyes. This class is really becoming popular and hence we decided we need to offer more rewards when you have this many entries and especially so many truly outstanding customs. Coming right out of the motorcycle show circuit we've installed one of their classes that will help spread out some of the Custom Class entrants. Hence we are announcing the new "CUSTOM-ULTIMATE BUILDERS CLASS". This class will emphasize functionality, engineering and design to create some incredible show sleds. Our tradional CUSTOM CLASS will continue to feature custom paint, custom glass, shiney chrome and polish-polish-polish. We will allow the partint to select the class they feel their sled is the best fit in and we think in a year or two people will start to see and understand the difference in these two classes. Its going to be one heck of a job to judge either of these classes but this should help spread out some of the entries and double the amount of awards we can offer. Don't forget Waconia introduced to the hobby last year the new Classic Sled Classes for 1986-1995 Classics and it went over very well. This class is offered in "Survivor" and "restored" only. No unrestored, which typically may allow some type of touch up painting - that is not allowed in Classics w/o moving into restored. Remember please, there is never a charge at Waconia to SHOW YOUR SLEDS. Please share your pride and joy sleds with others in the hobby. To help with the Sunday morning show registration long lines we will offer Saturday registration in the ballroom from 1-3 also. For those asking on snow and ice reports now that we are only a month away, here's the early report. We finally have some snow but we are short on ice to date with about 4" being reported on Waconia the last few days but we will enjoy some more ice making weather for the next few days. We will check ice again on Saturday. 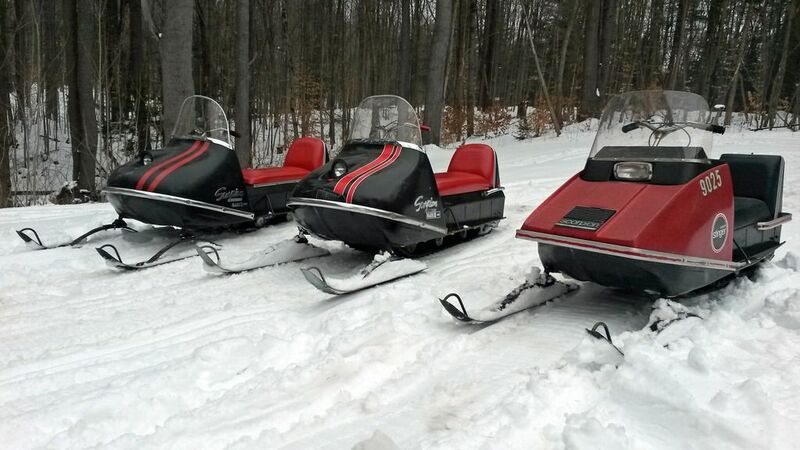 See you at the Worlds Largest Antique, Vintage and Classic Snowmobile event. Thank you to VINTAGESLEDS.COM for their long time support of Waconia! !